Raising kids can sometimes feel like society has ended, so why not go one further, and actually plan for it? 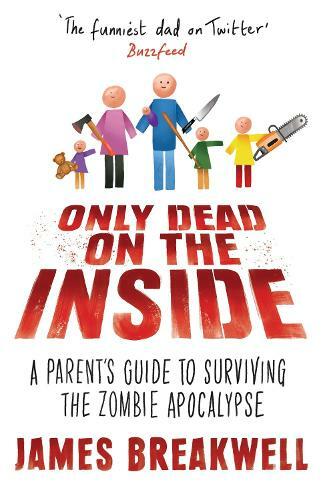 From James Breakwell, who BuzzFeed called 'the funniest dad on Twitter', this hilarious book will help you through the rise of the undead, with helpful hints and tips on raising healthy, entirely human, offspring. So, hunker down, stock up on supplies (alcohol, primarily) and get ready for the long haul. Or alternatively, take the more proactive approach. Ransack your kid's toy chest/weapons locker for zombie lacerating objects, bear arms with a terrorising lightweight buggy, or (not recommended) use your baby as a human missile. With kids and with zombies, the possibilities are truly endless. And with parenting in a zombie apocalypse, the rules change. Bursting with twisted logic, questionable data, badly drawn cartoons and frank parenting advice, this is the witty book that everyone will be talking about this year. And who knows? It may even help you survive everyday life as well.